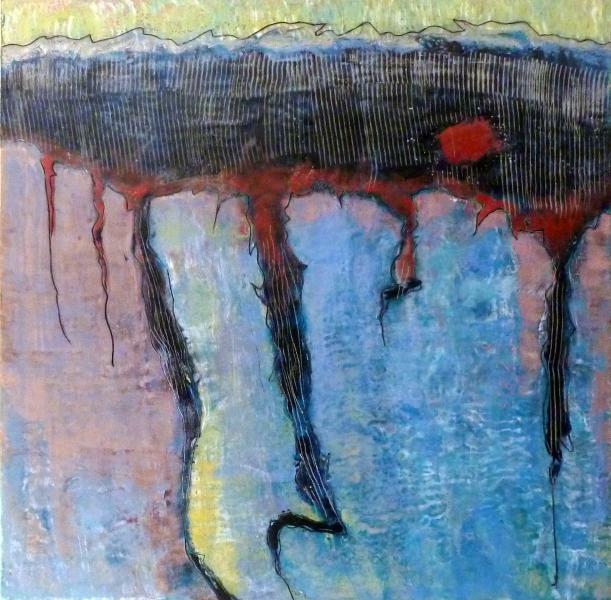 PATRICIA GERKIN'S newest works in encaustic are powerful. 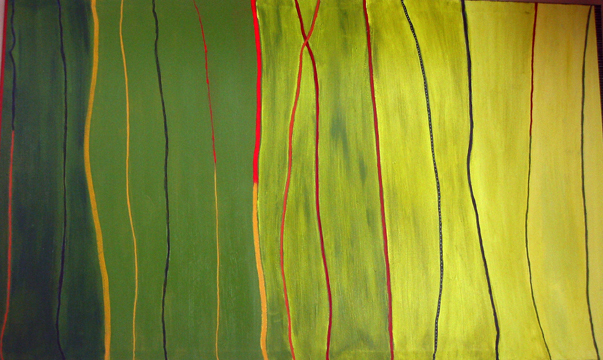 Pat Gerkin's abstract paintings and mixed media have been exhibited in numerous solo and group shows throughout the Washington, DC area and New England. 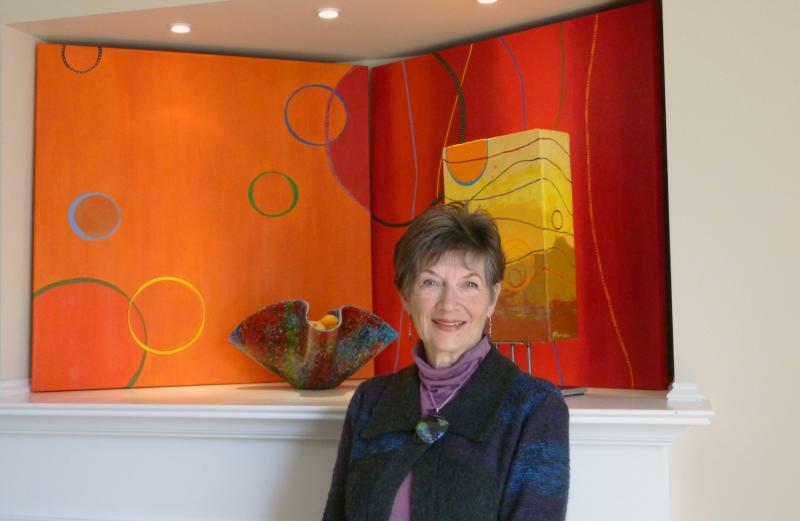 Her work is in public and private collections in the U.S., South America, and Europe, as well as in the collections of the Ritz-Carlton Hotel in Tysons, VA; Mandarin/Oriental Hotel in Washington, DC; and Swissotel Chicago. Gerkin received her B.A. from Fairmont State College, and she has studied art independently and through the Corcoran School of Art, Arlington Arts Center, NOVA, and The Art League for the last 30 years. 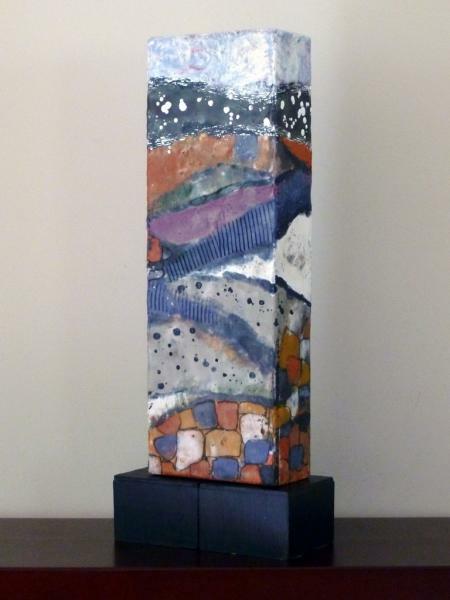 She is an Associate Artist of the Torpedo Factory Art Center, Alexandria, VA; a member of the Ogunquit Artists' Association, Ogunquit, ME; and a member of New England Wax. 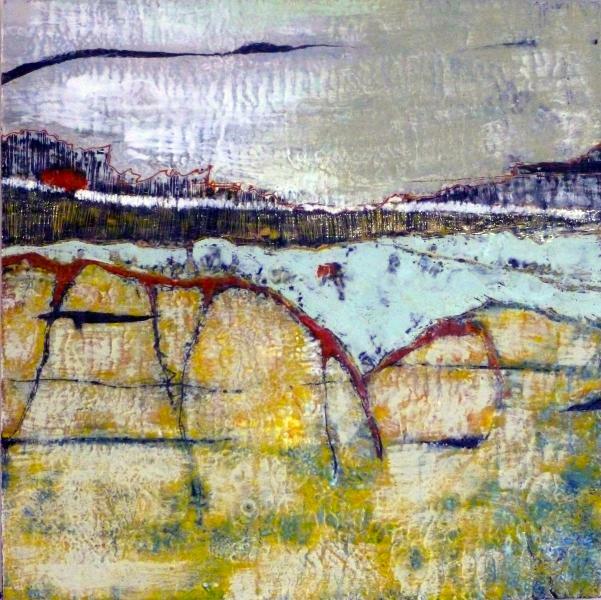 She currently works in encaustic and mixed media and in acrylics. Her works currently address issues of communication and connection as it relates to technology in an information age as well as the interior and exterior landscape. She is represented by several New England galleries in Maine, New Hampshire, and Massachusetts. 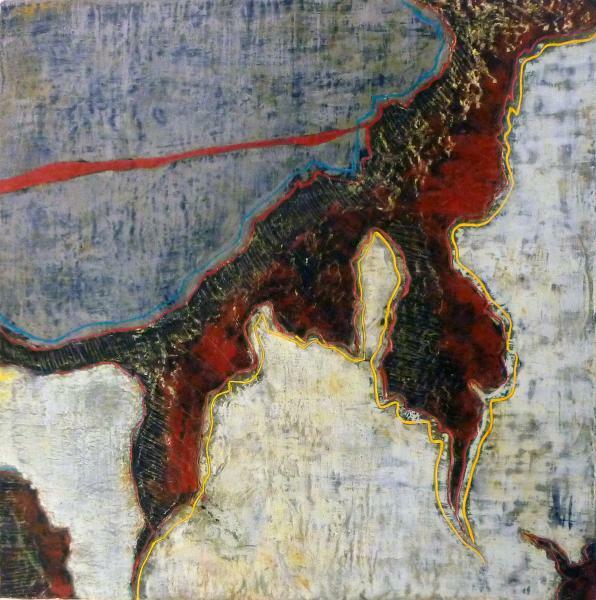 Discovery from Liminal States series.